Welcome to New Spring Special Education Services! At New Spring, we help individuals with disabilities achieve their behavioral and educational goals in the Central Ohio area. We serve individuals with all types of disabilities, including those with physical and Intellectual Disabilities. We specialize in serving those with Down Syndrome, ADHD and Autism. Our passion is to ensure every person, regardless of developmental stages can learn and experience joy and autonomy in life. 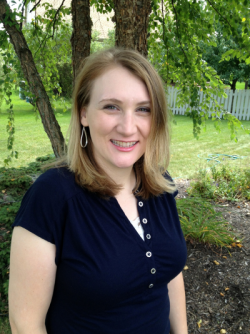 My name is DeAnna Newton, and I have a Bachelor’s of Science in Elementary Education from Brigham Young University and a Master’s of Education in Special Education from George Mason University. I taught in Fairfax County Public Schools in Northern Virginia for 5 years. During my time with FCPS I was a teacher for students with a broad range of disabilities including severe to high functioning Autism, Down Syndrome, Cerebral Palsy, Intellectual Disabilities, and Multiple Health Impairments. Some of my skills include academic and life skills teaching, direct instruction, offering parent support, use and support of assistive technology and adaptive equipment, behavior support and teaching, ABA methodology, and infusion of goals supported by other providers such as speech, occupational, and physical therapists. I have a passion for working with individuals with disabilities, and in my time as a teacher I have seen amazing growth and progress in my students in their own lives and in the lives of their families. Five years ago I moved to Columbus from Arlington, Virginia, and I wanted to be able to support the educational and family needs of individuals outside of a school setting. So often, students with disabilities have splinter skills or holes in academic, social, and behavioral areas. Teachers do as much as they can, but often have limited time, resources, and support to fulfill the many needs of students with disabilities. Sometimes students are struggling to meet their IEP goals. Other times, behaviors or social deficits stand in the way of student success. Still, other individuals may have physical disabilities that make it difficult for them to communicate or be independent. Whatever the challenge may be, my goal is to help individuals with disabilities be as independent and have as much self-efficacy as possible. Even small steps toward independence or small increases in learning a new skill or academic concept can have a profound effect on an individual with a disability and be a great relief to the family. That’s why I started New Spring, to help serve the needs of students and families in the Columbus Area. Our philosophy is that every person, regardless of “ability” or “disability” can learn and experience joy and autonomy in life. This may look different for every individual, but it is possible and can make a world of difference for those with disabilities or for loved-ones of those with disabilities. At New Spring, the philosophy is that every person, regardless of developmental stages can learn and experience joy and autonomy in life. Please call ahead. Appointment Only. ↑ © New Spring Special Education is powered by WordPress & SimpleCorp.